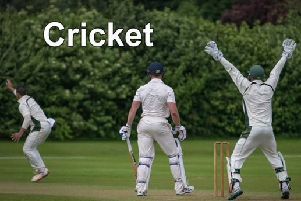 Pre-season preparations are afoot at Horncastle Cricket Club with the senior squad looking to build on the fantastic finish they had to last season. The 2016 season sees the Sunday first XI aiming for promotion from the Lincoln Sunday League Division Three, and the return of the Academy side who will compete in the RP Transport Saturday Friendly League. Pre-season training kicked off with the now annual visit to Trent Bridge. The lads were taken on a guided tour of the famous ground which has seen all of those magical Ashes moments. This was followed by a net session in the indoor facilities which was very beneficial to all the lads. The players expressed thanks to Lincs CCC first XI player Ross Carnelley for providing the coaching on the day. Senior training has since begun and is taking place throughout March at QEGS Sports Hall on Thursday evenings from 7.30pm until 8.30pm. All players who wish to play senior cricket this season are advised to attend. Further to this, Horncastle CC will be holding a club night this Friday, March 11, 7.30pm at the Astrobar. This is designed to get all players wishing to play for either the Sunday first XI, the Academy team or both, together for a social to discuss the club’s aims and ambitions for the season, and to get everyone registered for 2016. It is important for all players to attend so that the situation regarding squad selection can be assessed. The bar will be open and there will be a barbecue.